The Campus Theatre’s only official fundraiser and a great excuse to gather with friends, sample great food and wine while supporting Denton’s Texas Historic Landmark Campus Theatre. Opportunities to win prizes throughout the 2 hour event add to the fun. 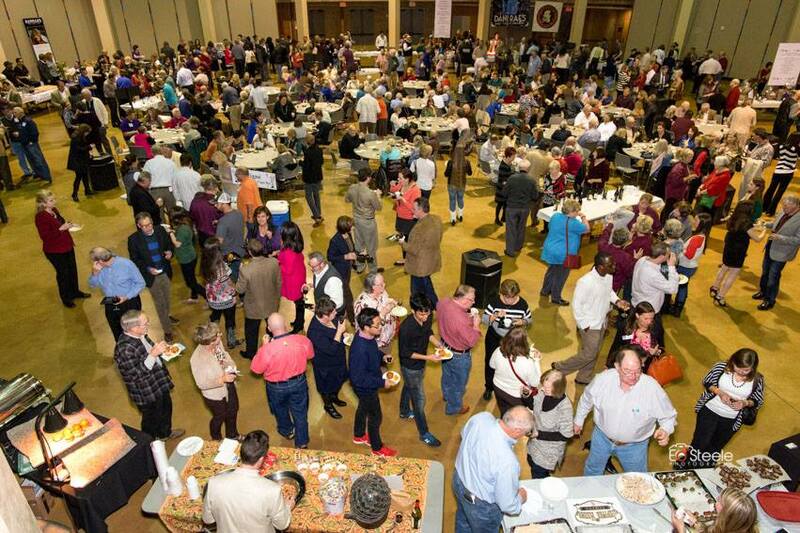 Beaujolais and More is held in the Denton Civic Center with 400-500 in attendance each year. The Beaujolais Nouveau is the centerpiece of the party, but the event also includes a variety of more traditional wines and holiday beers to sample. Food tastings include savory delicacies to sweet treats, from Thai food to Tex-Mex and most every other cuisine that Denton has to offer.